We’re well aware that the Toyota Tacoma is still the best-selling compact pickup in America and that 90% of all Tundras sold over the last ten years are still on the road today. There’s no arguing with the facts. These are vehicles people want, and critics enjoy. Depending on the model you choose, your Toyota can reach up to 10,200 pound towing capacity. Both Toyota trucks come with Toyota Safety Sense and incredible performance. With that in mind, we’re always searching Washington Court House and Chillicothe to find you the best Toyota trucks we can find. 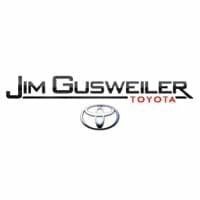 Browse our inventory, then schedule a test drive at Gusweiler Toyota today!